The Navajo are the largest tribe of Indians in the United States and, due in part to a fascination with their relative isolation, have been analyzed in numerous documentaries. 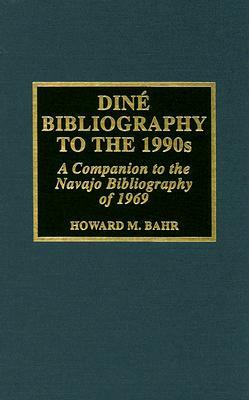 In this timely supplement to the Navajo Bibliography, Howard M. Bahr engages in a unique postmodern approach to his bibliography of the Navajo culture by combining health-related, artistic, economic, religious, social, scientific, and other literature on the Navajo into one study. The bibliography skillfully downplays disciplinary boundaries by unifying literature that has previously only offered separate classification and access. The more than 6,300 entries are selectively annotated and cover Navajo literature from 1970 to 1990, as well as newly discovered literature, including Franciscans' literature, that was not included in the original Navajo Bibliography. This bibliography is not only the most comprehensive bibliography to date in its coverage of more than two decades of new material, but the only source that supplements the professional literature with local and cultural works. An exhaustive resource that effectively doubles the expanse of Navajo literature surveyed and indexed, Dine Bibliography to the 1990s is an invaluable tool that both highlights the literature already available and expands such data to include coverage of genres that have been previously underrepresented. Author Name: Bahr, Howard M.